Seriously, why is a decent Android tablet so hard to find? Have you any idea how hard it is to buy the perfect Android tablet? This is where Apple fan boys say: "Buy an iPad." But what if you don't want an iPad? What if you actually prefer the Android OS or just fancy something a little bit different? There's loads of choice. But there are also loads of boxes left unticked. I'll tell you where I'm coming from. Until a few weeks back, I was the loving owner of an iPad Mini. LTE-compatible, 64GB. Sorted. But let's be honest: it's not actually all that good when you compare it to the cream of the smartphone crop. As a tech fanboy, there was loads I wanted to do with my iPad but could only get away with because I'd jailbroken the device. Yep, had to invalidate my warranty, just so I could do simple things like select Google Maps as the default app that opened to replace Apple's sorry attempt, and have more app shortcuts onscreen. Seriously, Apple, is that so wrong? The other thing that grated was the resolution of the iPad mini. Reading text on it compared to the iPhone 5 was like going from a Porsche to a Proton, and the pixels just wouldn't stop dancing in front of my eyes. Reading on the Kindle app drove my crazy! Something had to change. And that's where the consumer nightmare began in my Android tablet quest. My list of requirements wasn't totally out of the realms of possibility: 64GB memory (minimum), not too heavy, sharp screen and a cellular radio. Is that so extravagant? Apparently so, when you check out what's on offer. In the end, I settled for a Galaxy Note 10.1. Even though it's been out for the best part of a year, I figured it was the best alternative. Great looks (beauty is in the eye of the beholder, remember) and an S-Pen I could have fun with. But even though the cellular radio was there and the ability to add a 64GB card, the resolution wasn't - so back it went. Once you've seen something approaching Retina, you can't unsee those pixels. What came next? A budget tablet, that's what. 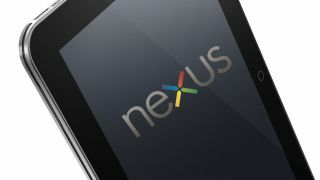 A Nexus 7. Again, a device coming up to its first birthday but one with a pretty sharp screen - even if the colour quality is more Easyjet than Virgin First Class. And a cellular radio - thank God. But no expandable memory and 32GB the highest available denomination. Others, like the Asus Transformer have great screens but no LTE. And there's no way I wanted to go for a Padfone because, well, it makes no sense when you actually hold it. And then, one bright and sunny morn in Barcelona, the Sony Xperia Tablet Z appeared. If you've read my full breakdown, you'll see that I am a huge fan. But I was even more critical, and for one reason - this is MY device. It's not a review unit that goes back when the words are printed: this set me back a hefty chunk of my own cash. Make no mistake, if there was the slightest issue, it'd be going straight back and that money would be clawed back under the Distance Selling Act. Right now, this is the best Android tablet money can buy. Screw it, it's the best tablet out there full stop. There's something here to tick every box, from design to connectivity to innovation. And while it's being carried around in a Jiffy bag until the cases are eventually (sigh) in stock, I think it'll be with me for some time yet. Or, until HTC brings us a tablet version of the HTC One.